Cosmic Petrochem Pvt. Ltd. is bracketed with renowned manufacturers of HDPE/PE (Polyethylene) wax used in the production and processing of a variety of industrial products. Our product is a superior grade non-oxidized, non-polar polyethylene wax formulated by a distillation process to enhance the properties of the product and produce PE wax in different grades. Our Polyethylene Homopolymer Wax is highly appreciated for its amazing properties and is widely in demand amongst customers. Available in varied grades and specifications HDPE/PE wax is fully saturated homopolymers of ethylene that has a high degree of linearity and crystalline. The distilled grades are highly refined waxes having narrow molecular weight distributions and narrow melt distributions. Hence, HDPE/PE wax is suitable for enhancing the quality of Petroleum Wax Blends, Plastic Additives, and many other Wax Blends. 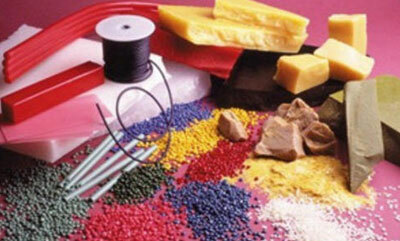 Furthermore, HDPE/PE wax finds application in the processing of different types of products. Manufactured using the latest machines and technologies, the HDPE/PE wax has low melt viscosities and is hard, even at elevated temperatures. Because HDPE/PE wax is fully saturated, it exhibits excellent heat stability and resistance to chemical attack. Our proprietary manufacturing process yields materials that provide benefits that are unique and quite distinct from other synthetic or petroleum based waxes. The manufacturing process can be controlled to the extent that the molecular weight and molecular weight distribution are consistently achieved. - The product can be used only for the applications as specified herein. - To the best of our knowledge, the information contained herein is accurate and reliable as of the date of publicaion, however we do not assume and completeness of such information. - We make no warranties which extend beyond the description contained herein. Nothing herein shall constitute any implied warranty of merchantability or fitness for a particular purpose. - It is the customer's responsibility to inspect and test our product in order to satisfy itself as to the suitability of the products for the customer's particular. The customer is responsible for the appropriate, safe and legal use, processing and handling of our products. - No liability can be accepted in respect of the use of our products in conjuction with other meterials. The information contained herein relates exculusively to our products when not used in conjuction with any third party materials. - Please see our Material Safety Data Sheet for details on various aspects of safety, recovery and disposal of the products. - For more information, contact COSMIC Petrochem Pvt. Ltd. Technical Service team.